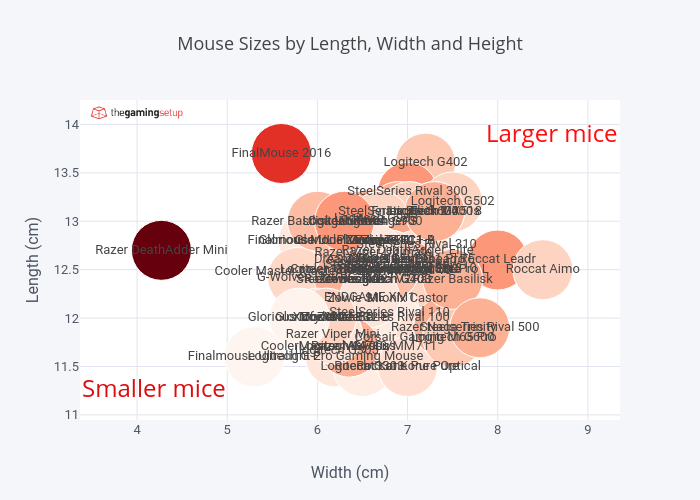 Raymond.sam's interactive graph and data of "Mouse Sizes by Length, Width and Height" is a ; with Width (cm) in the x-axis and Length (cm) in the y-axis.. The x-axis shows values from 5.394788519637462 to 7.705211480362538. The y-axis shows values from 10.969826435246997 to 14.230173564753002.